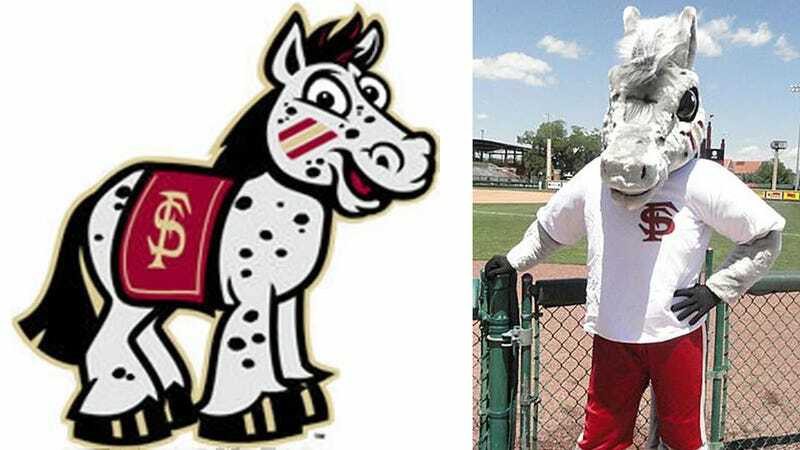 Meet Cimarron, the new incarnation of a Florida State mascot that apparently existed once but which nobody remembers. FSU already has a mascot, of course, a Native American named Chief Osceola who attempts to set fire to football fields while riding his trusty mount Renegade. Turns out Osceola isn't appropriate for certain audiences—specifically, anything involving kids—so FSU commissioned Cimarron a few months ago to have an fitting mascot to represent the university at certain events. You can also follow Cimarron on Twitter.